WHY SHOULD I VOTE FOR B.A.P? Voting for B.A.P is not only showing them your support and love, but it also helps to promote them: if their ranking is high, or even better, if they win, a lot of people will be introduced to B.A.P and will, hopefully, start liking them/listening to their music. B.A.P exists to conquer the world, but they won't succeed without our precious help! Vote as much as you can! This is important Babyz! Let's go! We can increase B.A.P's Melon artist ranking by doing this! This is important Babys! * Tell B.A.P you want them in your country! 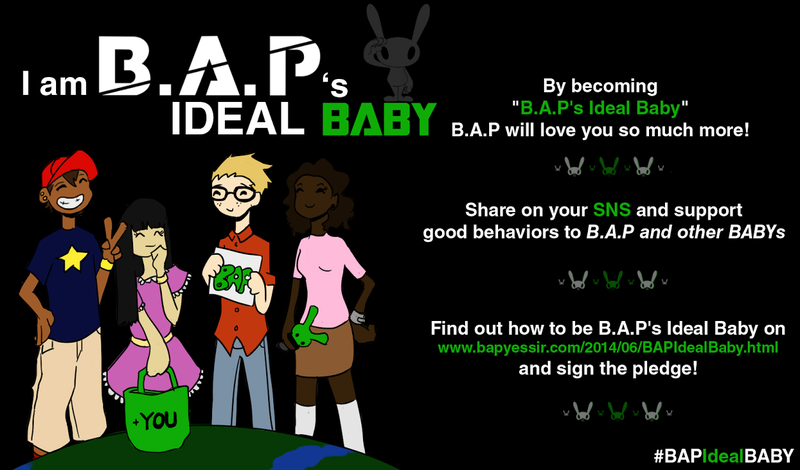 Let's show our boys that all across the world, Babys need B.A.P!! We can get them to your country if you unite with others and increase your votes! Together we can lead B.A.P to VICTORY!!! let's do this together BABYz!! How do i vote for b.a.p for mama2014? i clicked the link from twitter but there is nth. Come on Babys we can do this together! BAP fighting! YES BABYZ HWAITING~! our boys deserve this 100% no lie. I did my part I vote for everything that the BAP members are on. This is how much I respect them and their music and their beautiful hearts. BAP FIGHTING CAUSE THE VICTORY IS YOURS. l will support B.A.P !!! Let's go B.A.P !!!! B.A.P fighting !!! I hardly ever do this- because I feel like I might be biased when voting for, since I'm so utterly infatuated with some that I think I wouldn't even give any of the other competition any chance of winning, even if they were better. But for some reason, I just had to vote for BAP. For being talented artists and artists that have their say in writing their songs. Hopefully, we can unite and become an even stronger fandom to support B.A.P. because they deserve nothing short of that.